Anti-flake master batch: PE, EVA etc+Sb2o3, Mg(OH)2, AI2(OH)3 etc. 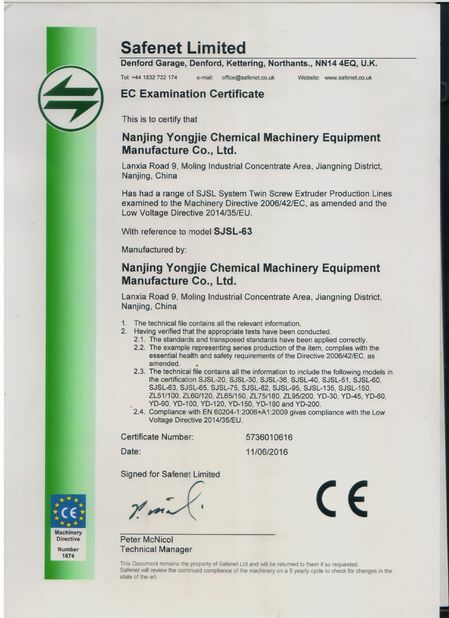 Output:100-150kg/h according to different material, formula and technology of process etc. 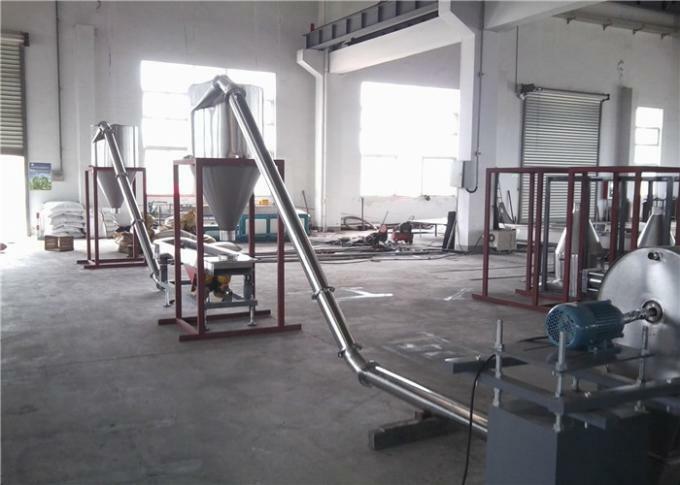 Cutting way: air cooling die face for pe pp filler masterbatch etc. 1). 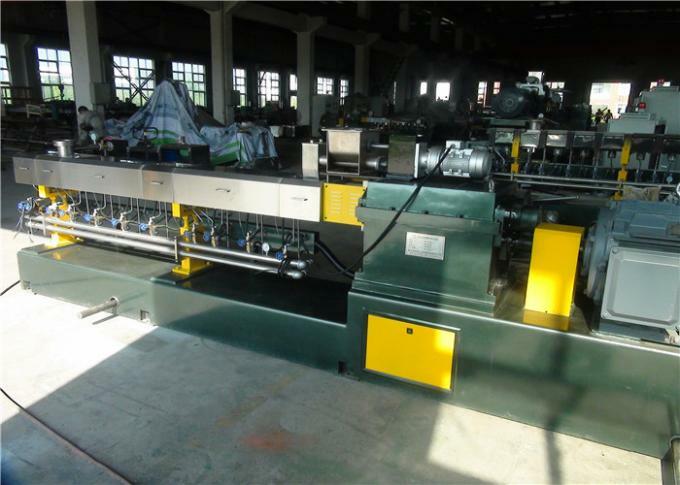 The extruder motor is set up the current overload to achieve chain shutdown protection with electric control cabinet. 2). 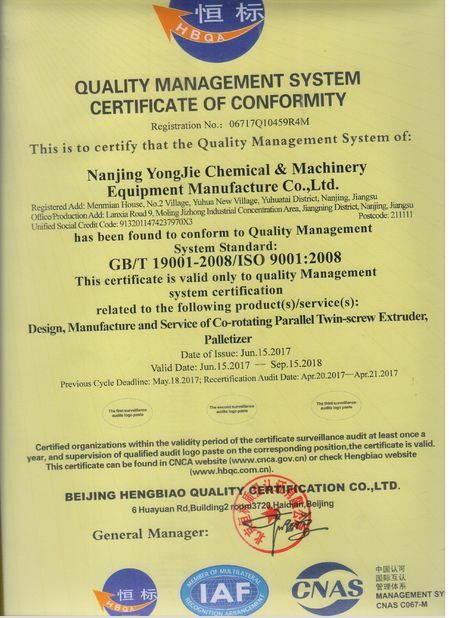 The control system of main machine motor is interlocked with control system of feeder motor as a way of protection mutually. 3). Transmission gearbox and lubrication system are interlocked for protection. 4). 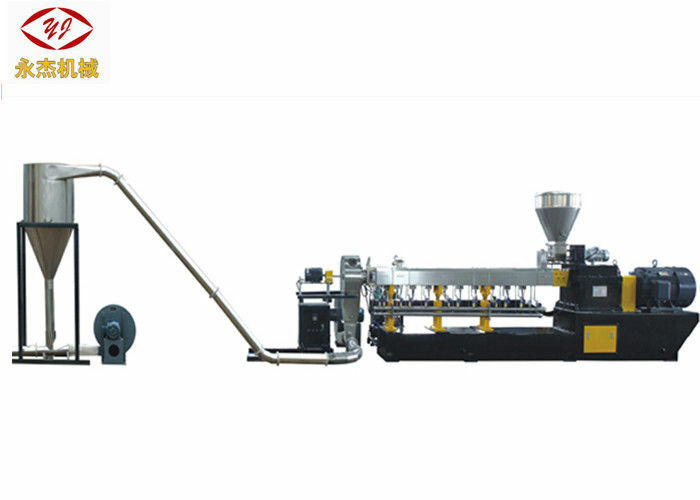 The extruder is set up the pressure overload to achieve chain shutdown protection with electric control cabinet. 5). The main motor is connected with the nylon pin of transmission gearbox so as to cut off the nylon pin when torque is overload.